Do you have a plan for how you’ll get online if the power goes out and stays out for a while? If you’re like most people, a big chunk of your life is in the cloud, which means you need a plan on how to access the web BEFORE you’re stuck without power. First, be aware that the vast majority of power outages are caused by human error, not natural disasters — only four percent are caused by Mother Nature. So even though it’s hurricane season and you need to be on higher alert than usual, major power outages can and do happen at any time. You should also be aware that you would experience a lot more power outages if your power company wasn’t able to keep most outages down to mere seconds by using rerouting technology. This is one of the reasons you have fewer outages now than you did a decade ago. The vast majority of power outages last for less than 15 minutes. But if your power is out for more than 15 minutes, chances are good it will be off for hours. Tether to your cell phone. You can use your smartphone as a hotspot. Just connect your computer to your phone’s internet connection over cellular as if your phone were a modem. Some carriers include tethering as part of their plans and others charge an extra monthly fee. Check your plan to find out which service providers can accommodate using as phone to speak and as a hotspot at the same time. Use a hotspot device. If you must be able to get online and stay online for hours, or if you travel or are tempted to use public WiFi a lot, consider getting a WiFi hotspot device (also called a MiFi). It’s basically a wireless router with a data plan. 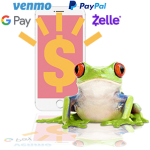 All of the major carriers offer them and you can buy them online starting around $50. Data plan rates vary. Get a UPS backup battery. UPS, or Uninterruptible Power Supply, batteries provide surge protection and also emergency power to your devices for a short time. The idea is to provide enough juice to allow you to save and close out of your devices so you don’t lose data during an outage. The battery plugs into the wall so it stays charged and you plug your devices into the battery just like you do with a surge protector. UPS batteries start at or around $50, but the low-end batteries don’t hold much power and might not give you the backup you’re looking for. Larger ones will let you keep operating your devices for a little while. No matter what the size, the more devices you run off the battery, the quicker you use up the stored juice. Here’s a comprehensive post from How-To Geek on how to choose the backup that meets your needs. Consider a generator. If you’re in an area that has a lot of outages or you want to run equipment in addition to online devices, like your refrigerator or AC, you can get a generator that runs on fuel (gasoline, natural gas, or propane). Portable generators like the ones used on construction sites have outlets that you plug things into, while whole-house generators are installed by electricians and can take over automatically in case of an outage. Generators need to be gassed up to run but most will keep the power on for many hours before needing a refill. Keeping your business online during an extended power outage is a whole other ballgame. If you’re in the healthcare or financial services industries, you may need a completely redundant system to be in compliance. Most businesses, however, get to set their own standards — the key is to set them! When you plan in advance for power outages, business doesn’t have to grind to a halt when they happen. UPS backup batteries (see above) for the devices that keep you connected. This includes modems, routers, servers, network switches, and computers. This is the minimum standard to endure a 10- to 15-minute power outage without suffering any damage to your business. Placement of your critical data in a secure offsite data center. That way you can still access it when an outage lasts longer than the juice in your backup batteries, among other reasons for offsite storage. A predetermined location where your team will go to work. This is called your recovery center and it’s where your team will work when the power has been out for more than 15 minutes. Your recovery center can be any place that has WiFi and allows your team to be productive, including the corner Starbucks. Information for your team about how to function during an outage. Your policy should include things like quickly saving work and shutting down unnecessary apps and devices while the backup battery power is functioning, tech tips like how it’s usually not possible to talk on a cell phone and use it as a hotspot simultaneously, and contingency plans for long-term outages. You may also want to look at commercial generators that will let your team stay put during outages. They work like residential generators (above), only they’re bigger. Planning ahead for power outages is part of a larger framework for businesses — Disaster Recovery Planning (DRP). Many businesses fail after a disaster because they didn’t plan well. Don’t be one of them! What’s the most important part of planning? Testing! How do you know your plan will work if you don’t test it? The time to test is not when you’re dealing with an outage for the first time — so take a dry run. Kill the power and see what happens. Do your backup batteries work? For the length of time that they’re supposed to? Does everyone do what they’re supposed to do? How was productivity affected? If you know these things before the power goes out, you can make adjustments if needed. 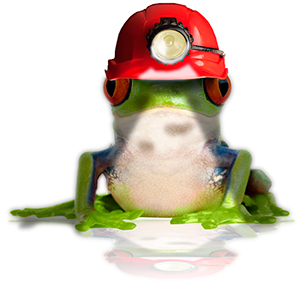 Leapfrog helps our clients plan for all sorts of things, including how to stay productive when the power goes out. If you’re a Leapfrog client and want advice on staying connected, please contact the Help Desk — we’re here to help. 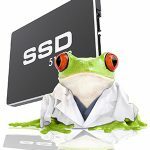 Should You Get A New Solid State Drive (SSD) To Speed Up Your Old Computer?